When you make a calculated field, you are including another field in which each column contains a count including other numerical fields in that line. In our illustration, we will utilize a table containing the requests from multi-month. The table contains things recorded by sales unit—single, about six, dozen. 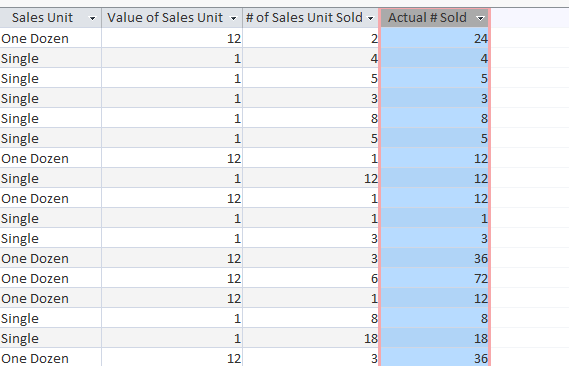 One section tells us the number sold of every deal unit. Another tells us the actual numerical value of every one of these units. For example, in the best line you can see that two dozen fudge brownies have been sold and that one dozen equals 12 brownies. To discover the total number of brownies that have been sold, we’ll need to increase the number of units sold by the numerical estimation of that unit—here, 2*12, which levels with 24. This was a straightforward issue, yet playing out that count for each column of the table would be dull and tedious. Rather, we can make an ascertained field that demonstrates the result of these two fields duplicated together on each column. Select the Fields tab, locate the Add & Delete group, and click the More Fields drop-down command. 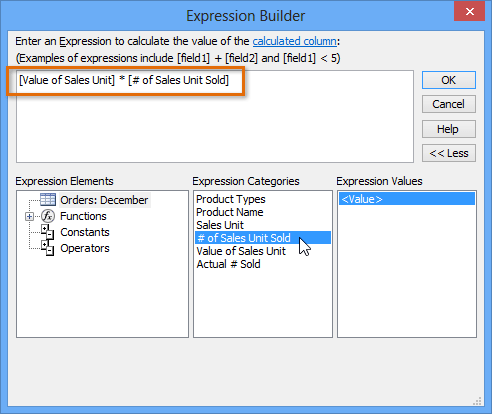 Hover your mouse over Calculated Field and select the desired data type. We want our calculation to be a number, so we’ll select Number. Assemble your demeanor. To choose fields to incorporate into your demeanor, double tap the field in the Expression Categories box. Make sure to incorporate scientific administrators like the + or – signs. Since we need to multiply our two fields, we’ll put the augmentation image (*) between them. Click OK. The calculated field will be added to your table. If you want, you can now sort or filter it. 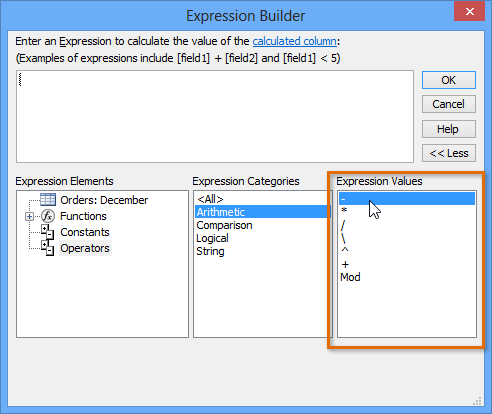 For more examples of mathematical expressions that can be used to create calculated fields, review the Arithmetic Expressions in the Expression Builder dialog box.